In "dark charcoal" I think it's called, for my '91. Would need shipped to Jasper, AB, Canada, T0E1E0. I have this. 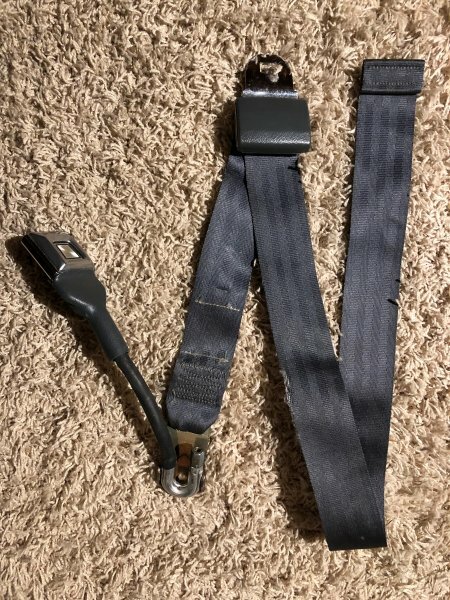 Rear center seat belt from an XJ. I don't know if they are the same as MJ. There is an edge where a mouse chewed on it. Looks great other than that. If it is of use to you, pay shipping. Thanks, but I'm going to pass. 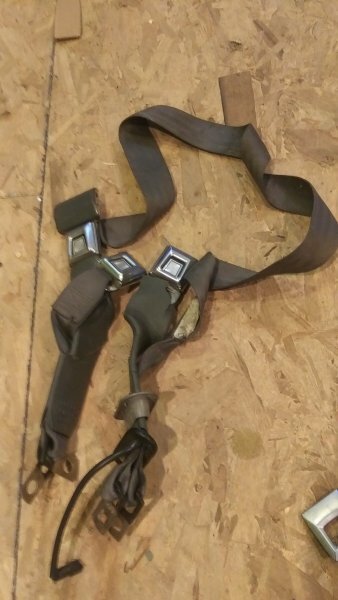 I've been thinking about trying to make my parts XJ's rear belt work, the later versions are retractable as well, but I'm still hoping for "authentic". I'm having the same problem. Can't find seat belts for a bench seat. I've considered the Cherokee belts as well. 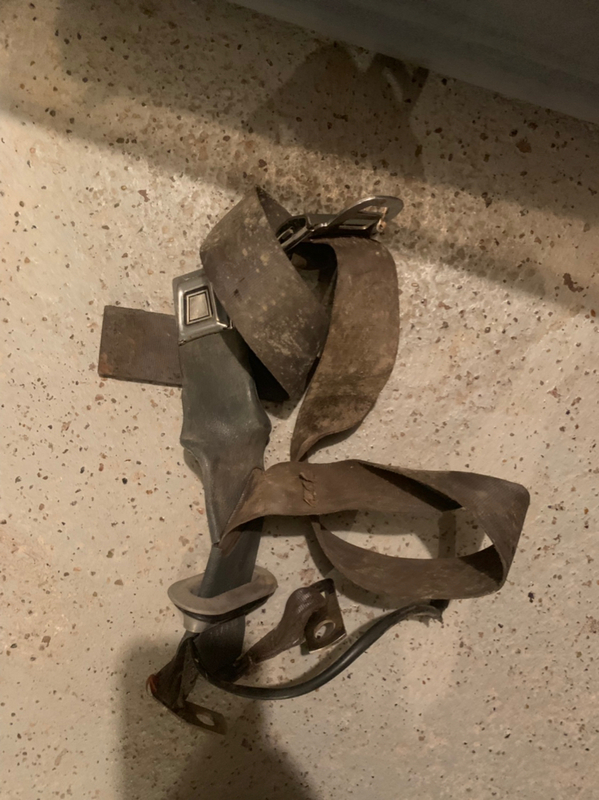 I have many bench belt female ends. grey, black, red, burgandy, light blue, I think that's it. I may have more. This is the style I need. The release button has the AMC logo on it. I need one female end for the passenger side in black. Here's a pic of what they look like. Found them online. This is about all that's left. The black sold but I still have 2 sets of burganday as well. Sale is pending on the light blue and red. 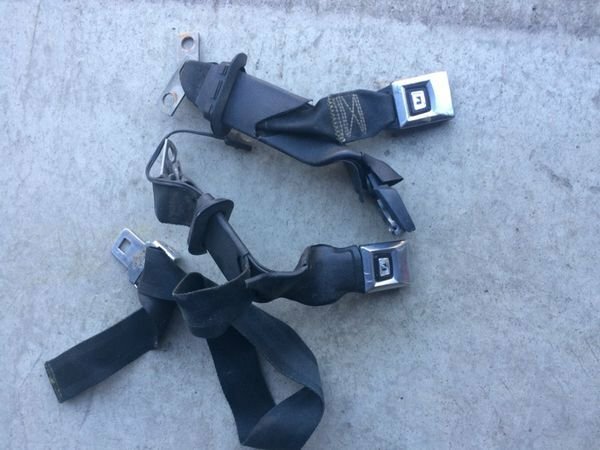 Are these compatible with the AMC logo belts? That looks like the one, although I'm not digging what that passenger belt looks like. 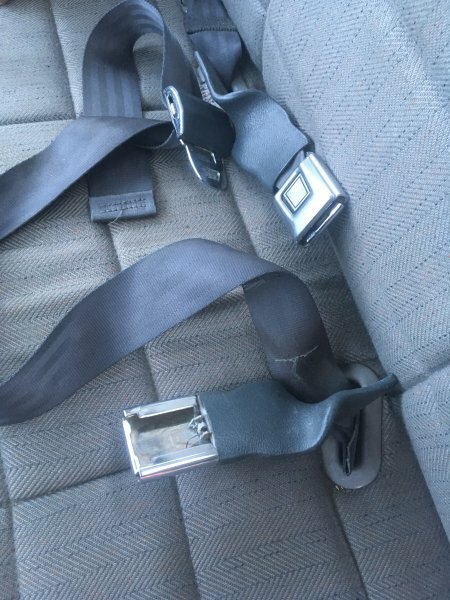 If it's just dirty that's one thing, but I am hoping for a safe belt for the nephews. It's just dirty from sitting in the basement. But if it's too dirty for you it's alright, I just thought I'd offer.